Suitable for all hair types. Chunky separation with matte finish. Add texture and definition to shorted hair styles. 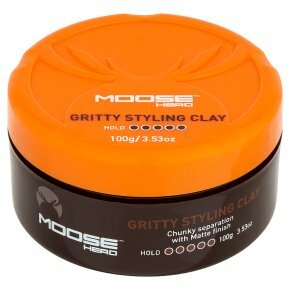 Real pumice gives this clay a grainy texture to create defined, chunky looks with texture. With beeswax for strong hold and a matte finish. Directions: Apply a small amount into palms, working through either damp or dry hair, and style away!